NAPPLSC is officially a 501c3 Non-Profit Organization! * Listing in NAPPLSC Directory of Providers is subject to membership level. 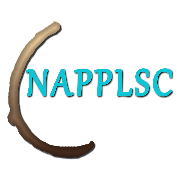 Join NAPPLSC in 2015, and you will be recognized as a Founding Member! LSC Members accept the mission of and NAPPLSC and pay annual dues of $35. A Member may be one individual that is counted as one for the purposes of paying dues and voting. Members elect the Board and amend the Bylaws. Members of NAPPLSC self-identify as a person of color and are at least one of the following: International Board Certified Lactation Consultant (IBCLC), Certified Lactation Counselor (CLC), Certified Lactation Educator, and/or a Breastfeeding Peer Counselor. LSC Membership Plus - $70.00 (USD) Subscription period: 1 year, on: July 1st No automatically recurring payments LSC Membership Plus maintains the same benefits as the LSC Membership. However, your additional contribution of $35 will be designated for NAPPLSC Scholarship Awards Fund. Allied Membership - $35.00 (USD) Subscription period: 1 year, on: July 1st No automatically recurring payments Allied Members accept the mission of and NAPPLSC and pay annual donation of $35. An ally may be an advisory and honorary members or individual that pays dues to support organizations mission. Allies do not elect Board and amend Bylaws. Allies do not self-identify as a person of color. Allied Membership Plus - $70.00 (USD) Subscription period: 1 year, on: July 1st No automatically recurring payments Allied Membership Plus maintains the same benefits of the Allied Membership. However, your additional contribution of $35 will be designated for NAPPLSC Scholarship Awards Fund. Organizational Membership - $75.00 (USD) Subscription period: 1 year, on: July 1st No automatically recurring payments Organizational Membership is designated for organizations that accept the mission of NAPPLSC and pay an annual donation of $75. Organizational Members may be a State or federal governmental agencies, health care organizations or non-profit corporations that pays donation to support organizations mission. Organizational members do not elect the Board and amend Bylaws. POC Community Members accept the mission of and NAPPLSC and pay annual dues of $15. A POC Community Member may be one individual that is counted as one for the purposes of paying dues and voting. POC Community Members self-identify as a person of color and has received breastfeeding support or a general advocate for breastfeeding in communities of color and NOT working in the field MCH or lactation.